We are Studio Äppel Päppel, a multifacitated design duo based in Gothenburg. We provide a wide range of design - from graphic design and illustration to workshops and wall murals. Regarding graphic design we can provide what you and your company need - from graphic profiles and logos to printed matter and document templates. We believe in a close dialogue with our customers. You as a client is involved during the whole process and can therefore also influence the result. In our portfolio you’ll find examples of our previous graphic projects (info in Swedish). We create unique murals and art commissions - from idea to implementation. Based on your wishes and needs, we outline a motif that suits your premises. Take a look at our portfolio to see examples of previous artistic commissions (info in Swedish). 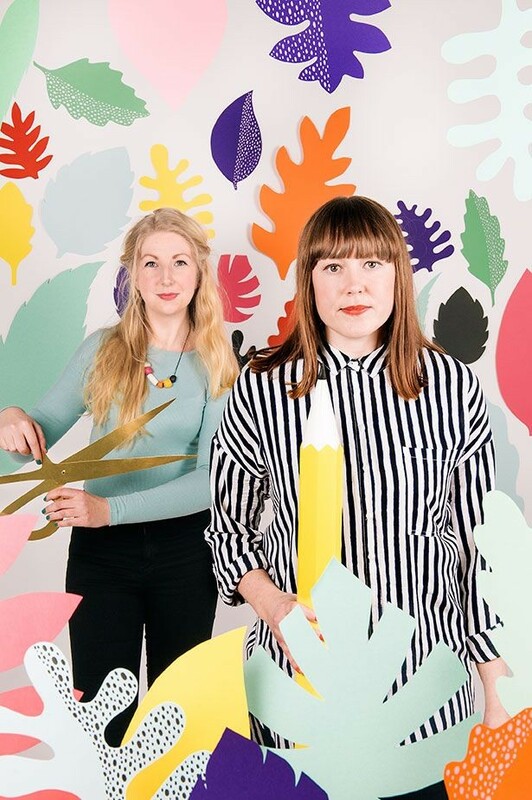 As a multifacitaded studio we provide a wide range of design related services, such as illustrations, pattern design, paper art, design concepts, DIY's and workshops. And we are always open for new challenges if you have something else in mind! Check out our portfolio to see some of our previous projects (info in Swedish). we bring colour to your business! Behind Studio Äppel Päppel you find us, Erika Lindmark and Frida Thornblad. We met in Växjö while studying design for sustainable development. After that we continued our studies at the Master Programme Child Culture Design at HDK (Academy of Arts and Crafts) in Gothenburg. Since our graduation in 2014 we have worked together as Studio Äppel Päppel, creating colorful and playful design.